- Join a single specialty GI group of 5 physicians and 3 mid level providers due to increasing demand. -Very good work life balance with 1:8 call. - Cover only one hospital with excellent surgical and IR back up. - Group has own endoscopy suite, anesthesia and pathology services. - Attractive partnership track with minimal buy-in. - Roanoke, VA is located in Blue ridge mountains- in southwest Virginia, enjoy 4 seasons, great outdoors in addition to what city has to offer. Experience vibrant downtown area. Roanoke also has some of the best public schools in the area. Great private schools available if you desire. POSITION DESCRIPTION * -Board Eligible/Board Certified Gastroenterologist * -Nurse Practitioner/Physician Assistant PRACTICE OPPORTUNITY *We are looking to add qualified candidates to our private GI practice which consist of 6 Gastroenterologist and 1 nurse practitioner. *We are one of the original practices to establish a Super Group that was formed under Allied Digestive Health with great success. *Services offered within our practice is general GI and specialized GI procedures. *Our practice has integrated pathology and anesthesia services. *Located in Central Jersey; along the beautiful Jersey Shore beaches and convenient access to New York City and Philadelphia. One year to partnership in Private Gastroenterology Practice! First year package $450 k. Mature Income potential $600k ++ PLUS NO RECRUITER! Deal directly with us and YOU get an extra $25k fee as a sign on bonus! Great opportunity to guide your own future! Join a popular, established practice in gorgeous central Virginia. We have the PERFECT practice opportunity for you! We have all the great points: Our own boutique Endoscopy Center with contracted Anesthesiologist. Our own Pathologist and Path lab- professional and technical components. Nurse practitioners on our team. 1 year to partnership offer We live in a beautiful region of the country with four seasons. University town, with shopping , restaurants, historical sites. Excellent schools and impressive state universities. 3 major airports within 90 minutes. Located between the metro areas of Washington DC and Richmond. We cross-cover call with another group in town to decrease number of call days to 1 : 5 days and weekends. Plenty of weekends off! We are interviewing NOW. Hospitalist Gastroenterology Opportunity Chethana Kanaparthi, MD from the group is attending the conference. Feel free to contact her at 269-569-4935 with inquiries. Bronson Health is seeking a BC/BE Gastroenterologist with ERCP. Bronson Gastroenterology’s unique hospitalist type model allows the physician to focus on inpatient care with opportunity to build an outpatient practice if interested. The opportunity is a 3/4/3 model with 3 days on and 1 week off, and 4 days on with 1 week off - rotating with two other hospitalists. The inpatient physician is assisted by excellent APP coverage Monday – Friday. The GI Hospitalists team covers call 24/7. This is an employed position offering a competitive salary, paid malpractice, and full benefits. Kalamazoo, located midway between Detroit and Chicago, is a diverse university town with highly rated public schools and affordable real estate. Offering art, symphony, theater, museums and year round festivals, there are many activities for the whole family including numerous parks, lakes, fine dining and Lake Michigan is less than an hour’s drive away. Outpatient Gastroenterology Opportunity Chethana Kanaparthi, MD from the group is attending the conference. Feel free to contact her at 269-569-4935 with inquiries. Bronson Gastroenterology Portage is seeking a BC/BE gastroenterologist to join their well-established and respected group. The practice consists of five outpatient gastroenterologists , two hospitalist gastroenterologists and four mid-levels. The group does procedures at both the endoscopy lab at Bronson Methodist Hospital, as well as Kalamazoo Endoscopy Center. The outpatient physicians share holiday coverage with the hospitalists. This is an employed position offering a competitive salary, paid malpractice, and full benefits. Kalamazoo, located midway between Detroit and Chicago, is a diverse university town with highly rated public schools and affordable real estate. Offering art, symphony, theater, museums and year round festivals, there are many activities for the whole family including numerous parks, lakes, fine dining and Lake Michigan is less than an hour’s drive away. Immediate opportunity for BC/BE gastroenterologist located in beautiful shore community equidistant from New York City and Philadelphia. Large suburban hospital affiliated w/Rutgers-RWJ Barnabas Health System; 2 room ASC and one office. Competive salary and benefits with early partnership.Weekend call 1:5. Outstanding opportunity for well-trained Gastroenterologist to advance their career. We are looking to add a qualified candidate in the summer of 2019 to replace retiring physician. Our growing physician owned practice is currently composed of 4 Gastroenterologist, 1 nurse practitioner, and 1 physician assistant. We are outpatient based with low inpatient volume and only round at one hospital. Our physician office, infusion center, pathology lab and endoscopy center are all in the same building. Located in attractive Scottsdale, Arizona offering fantastic weather, big city amenities, major league sports teams, hiking trails and of course golf. 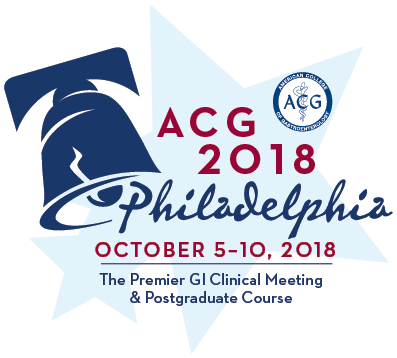 See URL - "APPLY NOW"
Single specialty GI practice with independent ASC. Equal partnership after 1 year. Pathology/Anesthesia revenue. Well-established single-specialty GI practice is looking for a motivated full time BC/BE gastroenterologist to join immediately. We are a five physician hospital-employed group located in Nassau County, Long Island, New York with community office locations and privileges at two well-respected major hospitals. Our office has a full complement of support staff to help you practice medicine and minimize non-clinical tasks. We employ several Physician’s Assistants to help us cover our busy inpatient consultative service. Hospital and in-office endoscopy volumes are high. All sites utilize electronic medical records. The ideal candidate is bright, personable, and efficient. Call is required. We offer a very competitive compensation and benefits package. New graduates are welcomed! Located in the heart of Nassau County in suburban Long Island, 30 miles from NYC and just minutes from LI’s beautiful beaches. Interested candidates, please email CV and cover letter to: Lisa.Damore@nyulangone.org . An EOE.